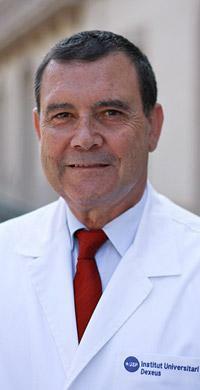 Dr. Rafael Rosell is Chief Medical Officer and President of the Dr Rosell Oncology Institute (Quirón Dexeus University Hospital, Hospital Quirón Teknon, Sagrat Cor University Hospital, Barcelona, and General de Catalunya Hospital, Sant Cugat dels Vallès, all part of the Quirónsalud Group). He is also Director of the Cancer Biology and Precision Medicine Program at the Catalan Institute of Oncology, Hospital Germans Trias i Pujol (Badalona, Barcelona, Spain), Chief Scientific Officer, Chairman & Founder of Pangaea Oncology SA (Barcelona), and Founder and President of the Molecular Oncology Research Foundation (Barcelona). He is also Founder and Director of International Relations and Projects, Spanish Lung Cancer Group (SLCG) and served as President of the same from 1991-2014. 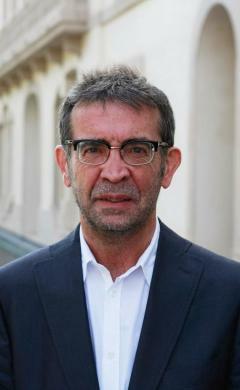 He is a member of the Foundation Council and Steering Committee of the European Thoracic Oncology Platform (ETOP). Dr. Rosell’s contributions to translational medical oncology, with particular emphasis on the field of non-small-cell lung cancer with EGFR mutations, have earned him international recognition. He was the first to demonstrate a benefit in terms of progression-free survival in non-small-cell lung cancer patients with EGFR mutations treated with Tarceva® in the EURTAC trial. 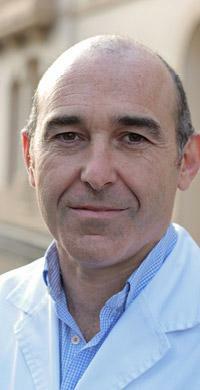 In 2013, Dr. Rosell was recognized by The Lancet as the highest authority in lung cancer in Europe. Dr. Rosell has authored over 600 articles published in peer-reviewed medical and scientific journals, including the New England Journal of Medicine, Clinical Cancer Research, Oncogene, The Lancet, The Lancet Oncology, Annals of Oncology and many others. He also serves on the editorial boards of a number of prestigious medical journals and has been awarded several prizes for his tireless investigations into the causes and treatment of cancer. Dr. Rosell has given more than 800 presentations at medical and scientific conferences around the world and has served on the scientific and organizational committees of many of the most important international congresses, including the International Association for the Study of Lung Cancer (IASLC), the European Medical Oncology Society (ESMO) and the American Society of Clinical Oncology (ASCO). Dr. Maestre graduated in Medicine and Surgery from the Universidad de Zaragoza in 1968; he was board certified in Thoracic Surgery by the Hospital Universitario Vall d’ Hebron, Barcelona. He gained his PhD from the Universidad Autónoma de Barcelona in 1992 and was Head of Service at the Hospital Germans Trias i Pujol, Badalona, until 1995, and at the Hospital Universitario Vall d'Hebron until 2009 where he directed the surgical lung transplant program for 15 years, which was successful in reaching the figure of 500 transplants. His experience in lung cancer surgery is especially noteworthy since he was one of the first surgeons to work together with Medical Oncology on the implementation of pre-operative chemotherapy for these patients. His experience in tracheal pathology is also noteworthy. Dr. Maestre has participated in numerous scientific meetings as invited professor, both at the national and international level. Dr Viteri graduated in Medicine from the Universidad de Navarra in 2002 and was board certified in Medical Oncology. He worked as a physician in the Oncology Department of the Hospital General Mateu Orfila in Menorca in 2007 before joining the IOR team. 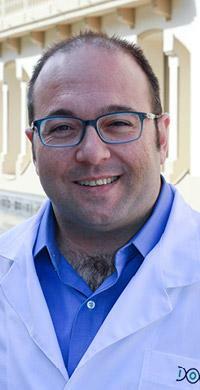 Dr Viteri is the principal investigator in several clinical trials in lung and ovarian cancer. He has also actively contributed to the publication of articles in renowned biomedical journals. In recent years, he has given presentations at international congresses and postgraduate courses (Mexico, Argentina, Greece and Germany). He is currently a member of the Spanish Lung Cancer Group (GECP), the Spanish Society of Medical Oncology (SEOM) and the New York Academy of Sciences (NYAS). In addition, Dr Viteri serves on the Biomarkers Council and Physicians Council of the International Cancer Advocacy Network (ICAN). 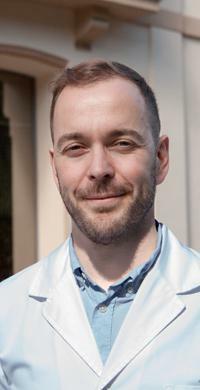 Dr González graduated in Medicine from the University of Lleida in 2003 and specialized in Medical Oncology at the Hospital de la Santa Creu i Sant Pau in 2008. Between 2008-2009 he practiced in the Medical Oncology Department, Breast Cancer Unit, Hospital Sant Joan de Reus. From 2009-2014 he worked as a Specialist in the Breast Pathology Unit and the Accident & Emergency Unit, Hospital Clínic, Barcelona. 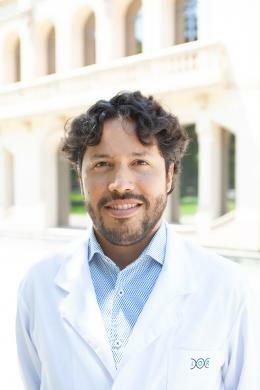 Dr Gonzalez has served as principal investigator in numerous clinical trials in breast cancer and other tumors. He has also actively contributed to articles published in renowned biomedical journals and has given presentations at major national and international conferences. He is currently a member of the Spanish Society for Medical Oncology (SEOM), the Spanish Group for Breast Cancer Research (GEICAM) and the SOLTI Breast Cancer Research Group. 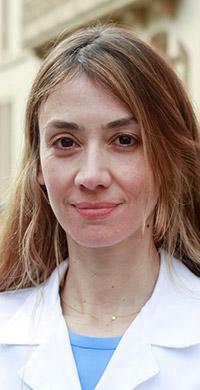 Dr. Karachaliou trained as a Medical Oncologist at the University of Athens. Postgraduate experience at the University Hospital of Heraklion, Crete, Greece. Dr. Karachaliou has co-authored over 40 papers published in prestigious international peer-reviewed journals, is a regular conference speaker and has given presentations at some of the most important international oncology congresses. Dr. Karachalio is a member of ASCO (American Society of Clinical Oncology) and IASLC (International Association for the Study of Lung Cancer). 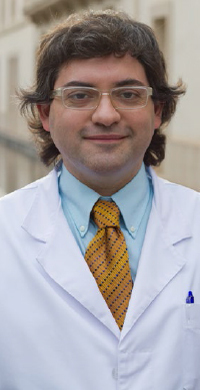 Dr. Martínez Bueno holds a degree in Medicine and Surgery from the University of Cantabria and trained in Medical Oncology at the Hospital Donostia, Gipuzkoa. Experience in Medical Oncology Services at the Hospital Donostia, Hospital Txagorritxu, Vitoria, Hospital Can Misses, Ibiza, Hospital Cruces, Bilbao, Hospital Granollers, Barcelona and Hospital General L'Hospitalet, Barcelona. Dr. Martínez has actively participated in numerous research projects presented at international scientific congresses, and has coauthored publications in renowned biomedical journals. He is a member of ESMO, GEICO (Spanish Ovarian Cancer Investigative Group), GEMCAD (Spanish Multidisciplinary Digestive Cancers Group) and GEICAM (Spanish Breast Cancer Investigative Group). Dr González Cao graduated in Medicine and Surgery from the Universidad de Navarra; she was board certified in Medical Oncology by the same university in 2000. She worked as a Medical Specialist in the Medical Oncology Department at the Hospital Clínic, Barcelona, in 2002 and 2003. Between 2004 and 2006, she practiced at the Clínica Universitaria de Navarra. She also worked as a physician in the Medical Oncology Department of the Hospital Santa María Nai de Ourense in 2006 and 2007. Dr González Cao has dedicated herself first and foremost to the fields of melanoma, gastrointestinal tumors and breast cancer. She gained her PhD from the Universidad de Navarra in 2006 and has been involved in numerous investigation projects presented at international congresses and scientific articles published in renowned national and international medical journals. She is currently secretary of the Spanish Multidisciplinary Melanoma Group (GEM) and a member of the following societies: the Spanish Society of Medical Oncology (SEOM), the American Society of Clinical Oncology (ASCO), the European Society of Medical Oncology (ESMO), the Spanish Group for Research on Sarcomas (GEIS) and the Melanoma Group of the European Organization for Research and Treatment of Cancer (EORTC). Dr. Moya holds a degree in Medicine from the Autonomous University of Barcelona and specialized in Medical Oncology at the Parc Taulí University Hospital. Previous experience at Hospital de Puigcerdà, Vallés Cancer Institute, ALTHAIA Foundation, Manresa University Healthcare Network, Sant Bernabé de Berga Hospital Foundation and the Baselga Oncology Institute (IOB), Barcelona. Dr. Moya has served as principal Investigator in clinical trials and has coauthored publications in renowned biomedical journals and at international scientific congresses. Member of the SLCG (Spanish Lung Cancer Group), SEOM (Spanish Society of Medical Oncology), GEINO (Spanish Group for Neuroncological Research). Dr. Pons graduated in Medicine from the University of Barcelona in 2005, and was board certified in Medical Oncology in 2010 by the Catalan Institute of Oncology (ICO), University Hospital of Bellvitge. 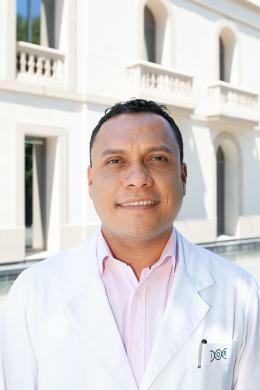 Between 2010 and 2014, he worked as attending physician and clinical researcher in the Medical Oncology Department, Digestive and Genitourinary Tumor Section, at the Hospital del Mar, Barcelona. Since 2014, he has worked as attending physician at the General Hospital of Catalonia, and as part of the Dr. Rosell Oncology Institute team in that same hospital. Dr. Pons has participated as principal investigator and co-investigator in numerous clinical trials in genitourinary and gastrointestinal cancer. He has given presentations at national and international congresses and is also co-author of several articles published in prestigious biomedical journals. He is currently a member of the Spanish Multidisciplinary Digestive Cancers Group (GEMCAD), the Group for the Treatment of Gastrointestinal Tumors (TTD), the Spanish Genitourinary Tumors Group (SOGUG) and the Spanish Group for the Treatment of Germ Cell Tumors (GG). Dr. Gil Moreno graduated in Medicine from the University of Murcia, and has specialized in Medical Oncology since 2016. From 2011 to 2016 she worked as a Medical Oncologist under Dr. Rafael Rosell at the Medical Oncology Service, Catalan Institute of Oncology, Germans Trias i Pujol Hospital. During this time, she also trained in laboratory techniques in the Molecular Biology Laboratory of the Cancer Biology and Precision Medicine Program at the same hospital. Dr. Gil Moreno has specialized primarily in the area of thoracic tumors such as lung cancer and has actively participated as an investigator in clinical trials and publications in renowned biomedical journals. She has given presentations at some of the most important oncology congresses and is a member of the following societies: American Society of Clinical Oncology (ASCO), Spanish Society of Medical Oncology (SEOM), European Society of Medical Oncology (ESMO). Dr. Fernández holds a Diploma in Physiotherapy from the University of Murcia, and a degree in Medicine and Surgery from the Autonomous University of Barcelona. He was board certified in Medical Oncology in 2015 by the Maresme Health Consortium, Hospital de Mataró. Subsequent experience as an attending physician in the Medical Oncology Service of the same hospital, specializing in thoracic and esophagogastric tumors, also serving as principal investigator and sub-researcher in a number of lung cancer clinical trials. He has given presentations at national and international congresses, and co-authored scientific publications. 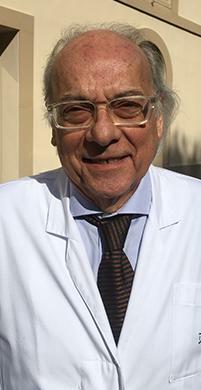 He is a member of the Spanish Society of Medical Oncology (SEOM) and European Society of Medical Oncology (ESMO). Dr. Rubinstein holds a degree in Medicine from Universidad de la República, Uruguay (UDELAR), specialism in Internal Medicine, a PhD in Health Sciences, International University of Catalonia and a Master’s in Healthcare Management, University of Murcia. He is currently Head of Pneumology at the HU General de Catalunya. He has participated in respiratory disease clinical trials, publications in prestigious biomedical journals, and at scientific congresses. He is a member of SEPAR (Spanish Society for Pneumology and Thoracic Surgery), ALAT (Latin American Thorax Association), ERS (European Respiratory Society), SMU (Uruguayan Medical Syndicate), SOCAP (Catalan Society for Pneumology) and SCATT (Catalan Society for Prevention & Control of Smoking). 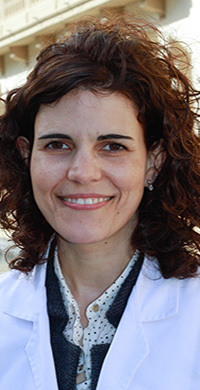 Dr. Romero holds a degree in Medicine and a PhD from the Autonomous University of Barcelona, and trained as a Thoracic Surgeon at Vall d'Hebron University Hospital, Barcelona where she remains to this day and also serves as Associate Professor of Medicine. 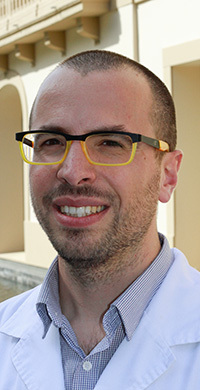 Dr. Romero has coathored numerous publications in prestigious biomedical journals and is an active member of the SLCG (Spanish Lung Cancer Group), SECT (Spanish Society of Thoracic Surgery), SEPAR (Spanish Society for Respiratory Pathology) and IASLC (International Association for the Study of Lung Cancer). Dr García Mosquera holds a degree in Medicine from the Universidad Tecnológica Equinoccial (Ecuador), he was board certified in Medical Oncology by the Catalan Institute of Oncology (ICO) at the Hospital Universitari Germans Trias i Pujol from Badalona. Also Dr García has participated as investigator in clinical trials, he has participated at national and international congresses and is also co-author of several articles published in biomedical journals. [return] Dr Albert Abad received his MD at the Barcelona University in 1974 and his PhD at the Universitat Autónoma de Barcelona in 1991 for his investigations on the modulation of the citostatic drug 5 Fluorouracil. Section Chief of the GI tumours (since 1984 to 2013) Departement of Oncology. University Hospital Germans Trias i Pujol. Director of the Traslational Research Unit in GI tumours. “Health sciences research institute of the Germans Trias i Pujol Foundation (IGTP). Head of Oncology Unit. Campus CIMA. Sanitas Hospitales. Barcelona (since 2010 to 2018). Dr Albert Abad is the editor of 15 books and it has collaborate in 34 editions on scientific books. Author or co-author of more than 152 peer review scientific articles and more than 250 presentations in International Congres He has been the President of the “Societat Catalano-Balear d’Oncologia” of the Medical Scientific Academy (1992-1994). Vice-president of the TTD Spanish Group (Spanish Group of Digestive Tumours Treatment). Full member of Sociedad Española de Oncología Médica (SEOM), American Society of Clinical Oncology (ASCO) American Association in Cancer Research (AACR) and European Society of Medical Oncology (ESMO). Dr. Aguilar graduated in Medicine and Surgery from the University of Havana, Cuba in 2005 and was board certified in Medical Oncology at the Hospital Universitari Mutua Terrassa, University of Barcelona. He was staff member at Medical Oncology Department of the Hospital Mutua Terrassa, Terrassa in 2016, Hospital Sant Joan de Déu at Martorell and Clínica Rotger (Quirónsalud Group) at Mallorca, before joining the IOR team. Dr. Aguilar actively participates in several clinical trials in Lung cancer, presented at international scientific congresses, he has participated at national and international congresses and is also co-author of articles published in biomedical journals. 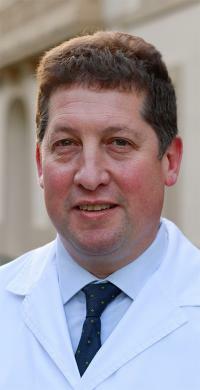 He is currently a member of the Spanish Society of Medical Oncology (SEOM), the Spanish Lung Cancer Group (GECP), the Spanish Genitourinary Tumors Group (SOGUG) and European Society of Medical Oncology (ESMO). 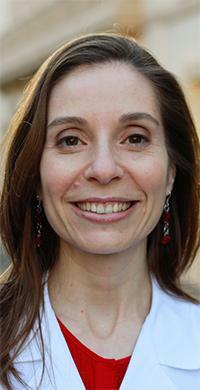 [return] Dr. Pereira obtained her medical degree from the National University of Asuncion in Paraguay. In 2014 she graduated as a Medical Oncologist at Hospital Clinic in Barcelona. 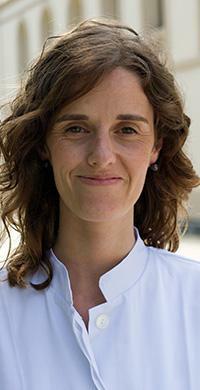 She is currently a PhD candidate at the University of Barcelona and the Instituto de Investigación Biomédica August Pi i Sunyer (IDIBAPS) with a thesis on serum biomarkers for neuroendocrine castration resistant prostate cancer. She has worked as a Clinical Oncologist since 2015 at Platon University Hospital, Clinica Delfos and Hospital Teknon, with main expertise in genitourinary tumours, colorectal, brain and breast cancer. 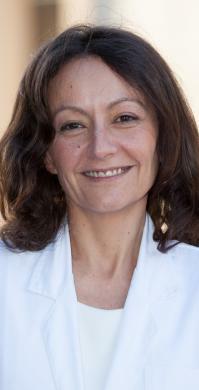 She is also a member of the Spanish Society of Medical Oncology (SEOM).